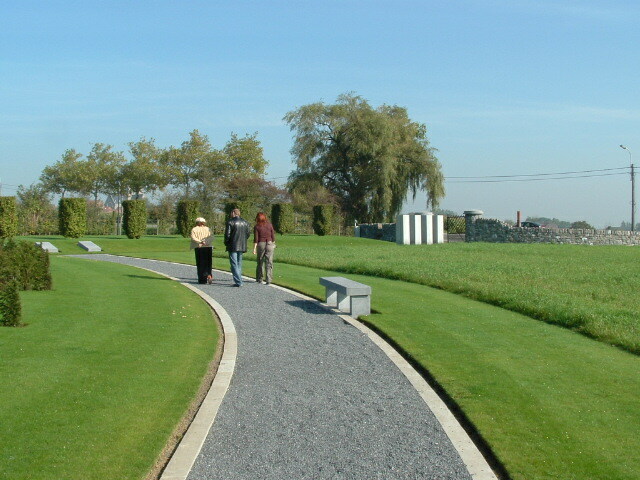 The Island of Ireland Peace Park is situated just to the south of Messines on the road to Ploegsteert. 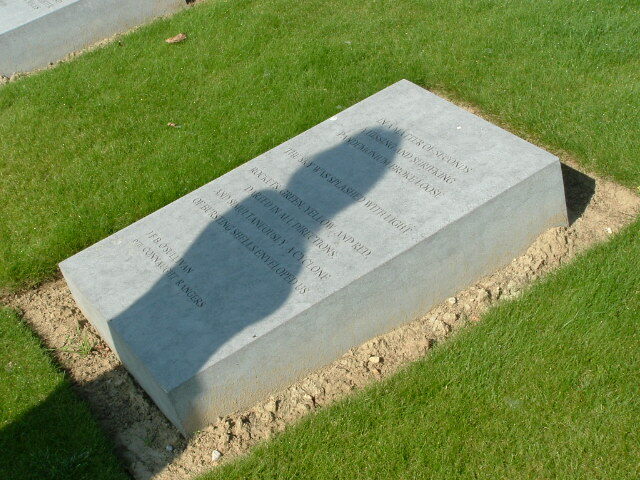 The site was chosen as the Irish Divisions played a significant part in the Messines battle (although as we saw in the early posts of this tour, they actually fought some way north of here), and because Irishmen of all religions fought side-by-side in the actions to capture the ridge. A few hundred yards away the the east, with the Peace Park behind us, the two little cemeteries at Bethleem Farm nestle somewhere in the fields to the left, beneath the south eastern tip of the ridge. 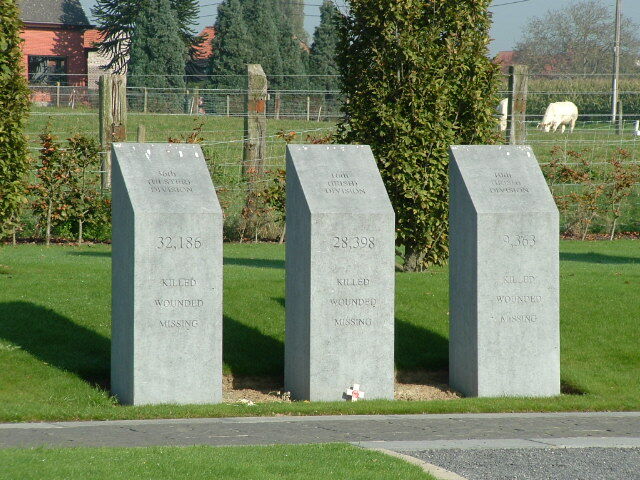 Within the park, the men of the three volunteer Irish Divisions are remembered on these stone memorials, similar to the ones we saw on the road from Wytschaete earlier on the tour. 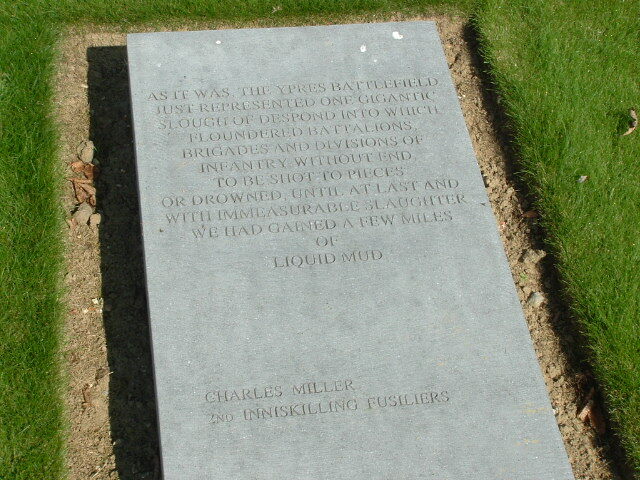 Nine stone tablets, such as those above & below, are inscribed with poetry or prose written by Irish soldiers who fought on the battlefields of Belgium and France. 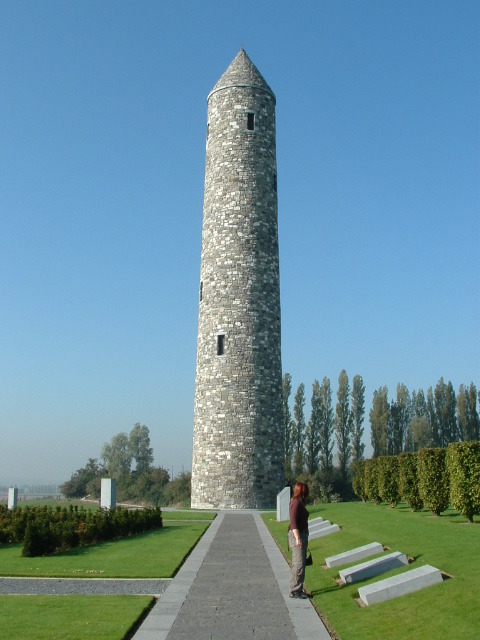 The centrepiece of the Park, the Irish Peace Tower was constructed using stones from a demolished workhouse in Mullinger, County Westmeath, in Ireland, and was unveiled, along with the Park, on 11 November 1998 by Mary McAleese, President of Ireland, Queen Elizabeth II of the United Kingdom, and King Albert II of Belgium. 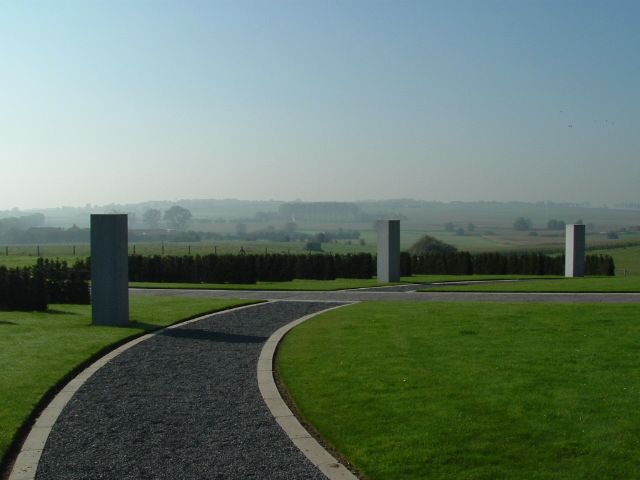 More memorials, the view to the west (above & below) again showing the strength of the German second-line positions up on the ridge, overlooking their front line trenches in the fields below and the British trenches beyond. 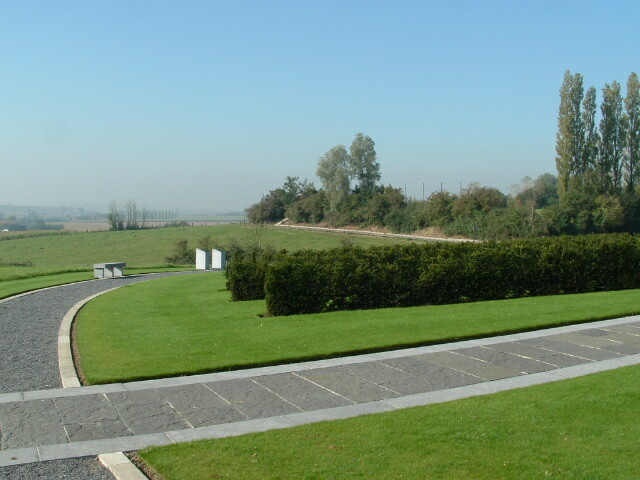 View looking south from the entrance to the Park, down the road towards Hyde Park Corner and Ploegsteert. 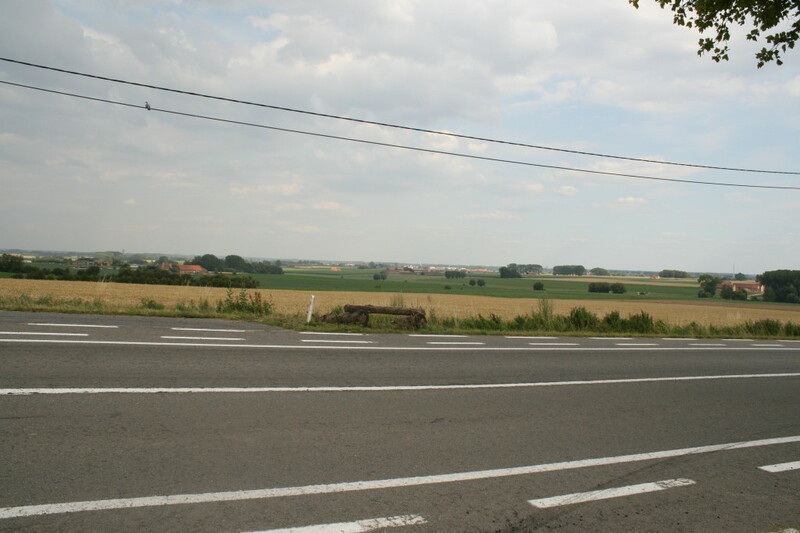 The dark mass of Ploegsteert Wood, through which, as we saw in the last post, the Australians moved up to attack the southern end of the ridge at the start of the battle, is visible on the horizon in the centre and centre left, beyond the roadside trees in the foreground. 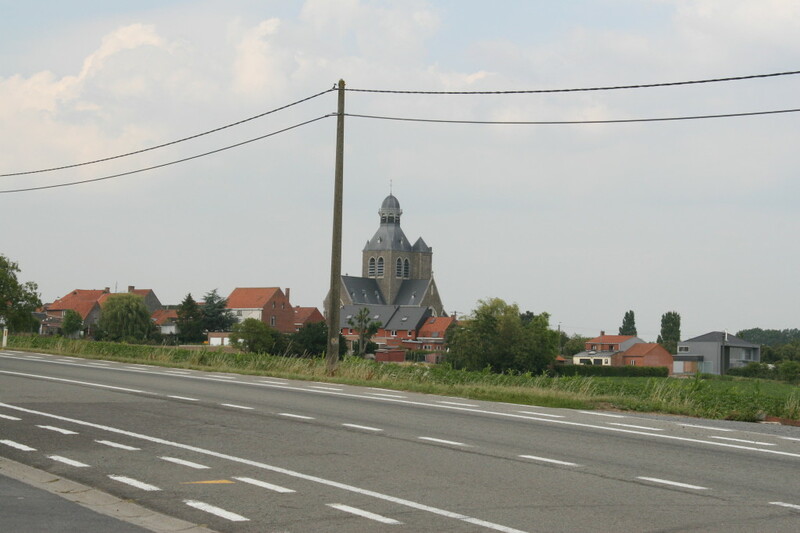 Leaving the Peace Park we head into Messines itself, the rebuilt church on our right as we drive up the hill before turning north through the village. Our next stop is Messines Ridge British Cemetery, a post-war cemetery situated on the crest of the ridge on the village’s western outskirts. On our way, however, a brief visit to the New Zealand Memorial, sited within the New Zealand Memorial Park on the south western outskirts of Messines. It is identical to the one at Gravenstafel on the road to Passchendaele, captured by the New Zealanders on 4th October 1917. 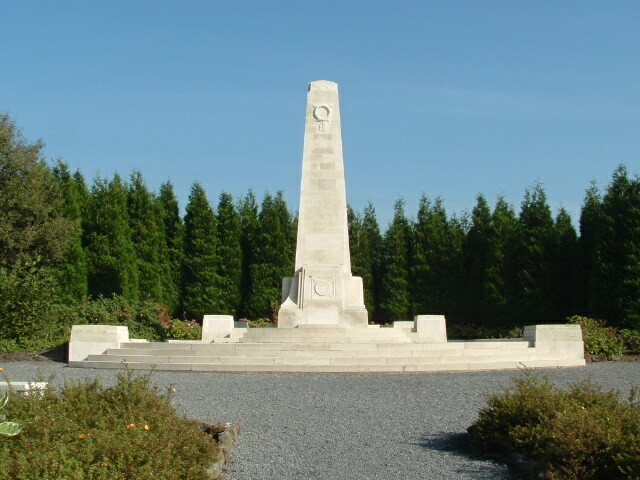 We shall see another New Zealand Memorial when we visit Messines Ridge British Cemetery in the next post.